This week, we hop in the Delorean and join Doc Brown and Marty for a look at Back to the Future Parts 2 & 3. Then we also review the newest episode of Doctor Who as we see the return of one of the his oldest foes in “Closing Time.” And if that wasn’t enough, we talk to Marc Ballard to help promote the Nashville Comic and Horror Festival. Join us for an episode we like to call Episode 79: Great Scott! I’m Being Followed Through Time by Michael J. Fox! Listen to ESO #79 here, or download this podcast from iTunes. 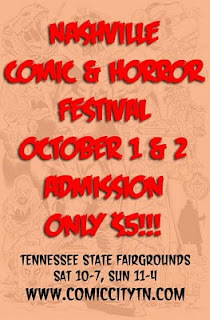 I will be appearing at the Nashville and Comic Horror Festival this Saturday & Sunday (October 1 & 2) at the Tennessee State Fairgrounds in Nashville, TN! I will have plenty of Tiki Zombie comics and merchandise, so please come by and say "Howdy!" 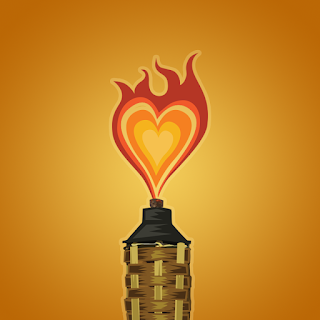 I'll be sharing our tiki-table with William Kielhorn, and we'll be giving our copies of his Crypto Zo preview free with purchase of anything else at our booth. Also attending will be good friends Peter Cutler, Mark Maddox, Chris Moreno, Bobby Nash, Lysa Shin, Anthony Taylor, Sean Taylor, and many, many, more comic and media guests. Gonna be a great show and I look forward to seeing y'all there! Once again the ESO crew returns to Titan Comics in Duluth, GA to wrap up our visit to the Star Trek Universe and chat about Voyager and Enterprise. 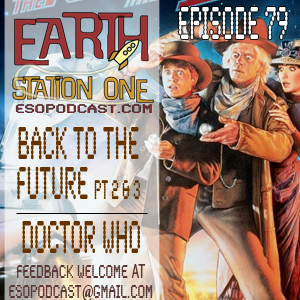 We then return to the station to discuss this week's episode of Doctor Who “The God Complex.” But wait! That's not all! We also chat with Rodney M. Hall from The Walking Dead about the upcoming Nashville Comic and Horror Festival. Join us for an episode we like to call Episode 78: Wow, So This Is the Delta Quadrant? Funny How Much It Looks Like Titan Comics! Listen to ESO #78 here, or download this podcast from iTunes. With summer coming to end and most of us recovering still from our stint at Dragon*Con, we thought it would be a perfect time to review how we did with our Summer Movie Predictions, and then talk about what new fall TV shows we are looking forward to this year. We also take a look at this week’s episode of Doctor Who, "The Girl Who Waited." But wait! That's not all! 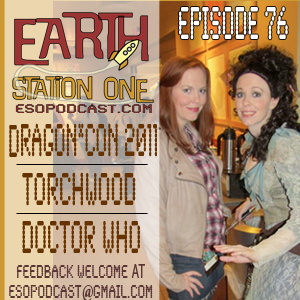 We talk Torchwood: Miracle Day. Did the finale live up to our expectations? 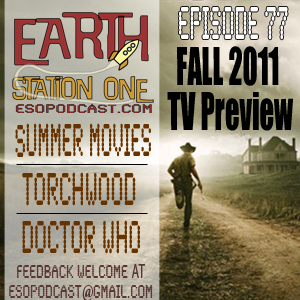 Join us for an episode we like to call Episode 77: The Summer’s Over & Torchwood Is Done, What’s Next? 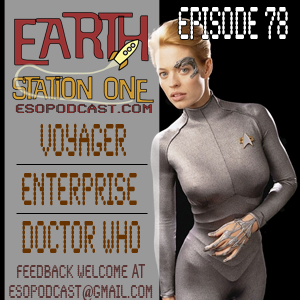 Listen to ESO #77 here, or download this podcast from iTunes. Join us an episode we like to call Episode 76: ESO Live from Dragon*Con 25! Listen to ESO #76 here, or download this podcast from iTunes.